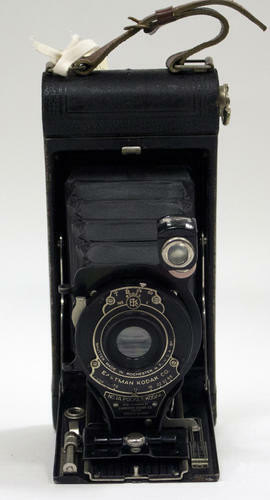 This series contains cameras designed for roll film and employed a folding design, in which a front flap opened and lens and bellows extended from the camera body. 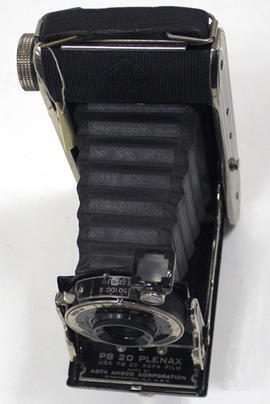 This design balanced the need to produce large sized negatives while making the cameras smaller, and more convenient than the box format cameras. 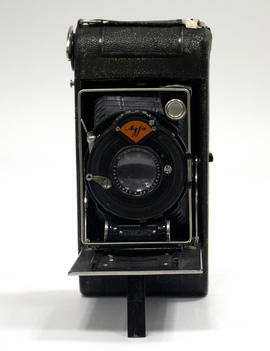 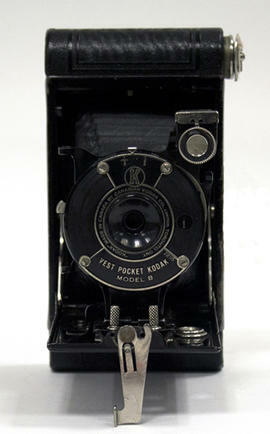 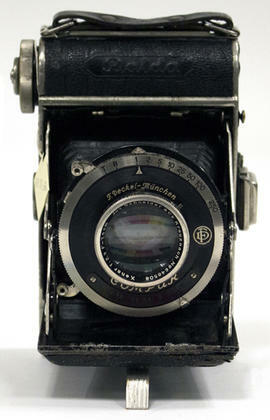 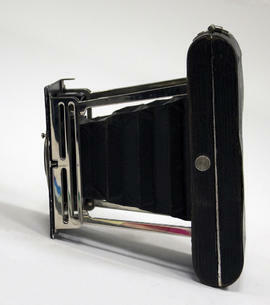 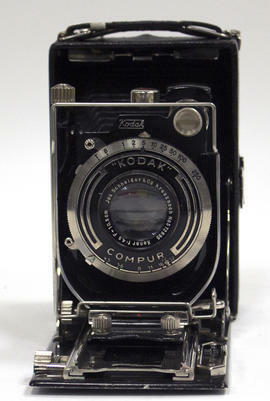 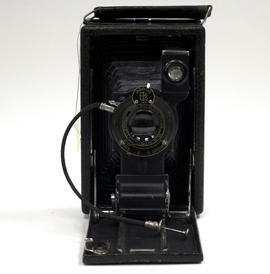 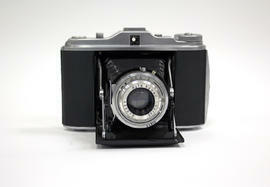 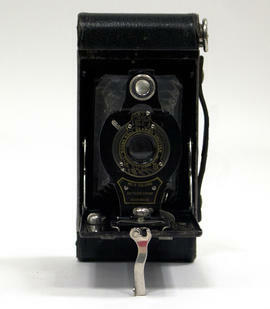 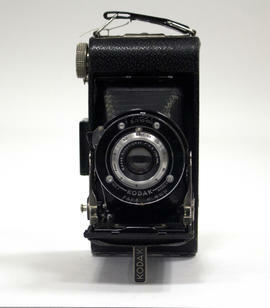 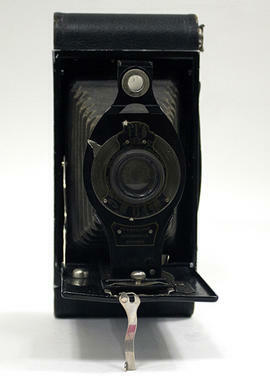 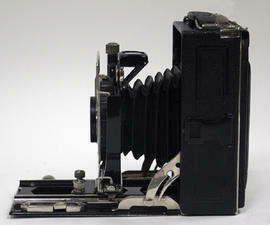 Many were variations on the basic Kodak design that, when folded, resembled a long, flat box with rounded ends. 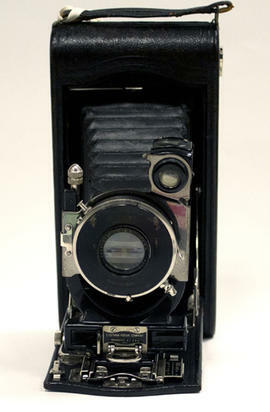 Both brilliant viewfinders and optical direct finders were used in these designs and lenses were generally more advanced than the simple box cameras, with shutter speed and focus adjustments possible. 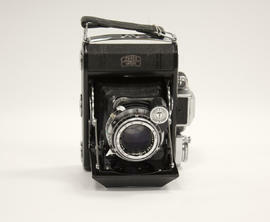 Items in this sereis were donated to the Ryerson University Library and Archives from several different sources and arranged in the Camera Collection by type. 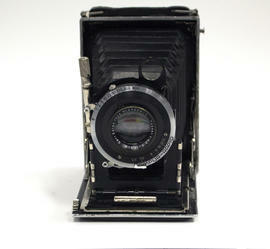 Cameras from the Wilhelm E. Nassau collection donated by Mr. Nassau in 2015 and by Wilfrid Laurier University in 2011. 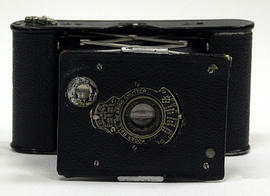 Cameras from the Arthur and Wesnetta Tyndall donated by Joy Tyndall in 2012. 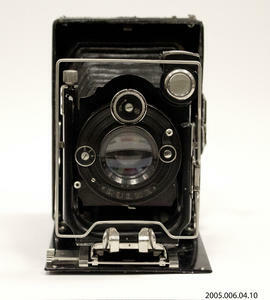 Cameras from the Michael Pearson collection donated by Joy Tyndall in 2012. 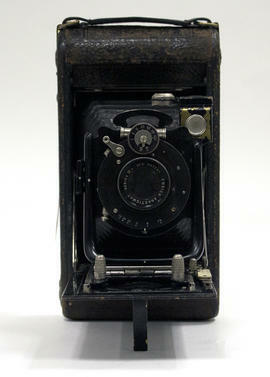 Cameras from the Garry Tylor collection donated by Mr. Taylor in 2008.